Mineral Rich Dead Sea Mud Soap is like experiencing a mini-spa treatment with every shower! A must have for acne prone skin. Our Dead Sea Mud soap combines THIRTEEN skin loving oils, 100% goat milk & Mineral rich Dead Sea Mud to produce a bar that will detoxify and mineralize your skin. The natural black mud is a mixture of many Dead Sea salts and minerals: rich in magnesium, natural tar (bitumen), and the silicates (silicon compounds), the organic elements from the shoreline all blended with earth. It is the silicates that have the effect of a mask/exfoliant to the skin and is useful for cleansing and softening the skin resulting in a wonderful glow. The Dead Sea Mud that we use in our soaps is not a powder, but is a mixture of mineral rich Dead Sea Mud and nourishing mineral water from the Dead Sea imported from Israel. 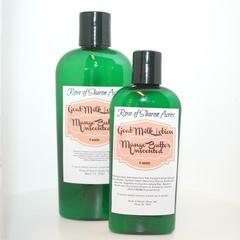 The Ancient ones also used Goat Milk for their daily beauty regimes. 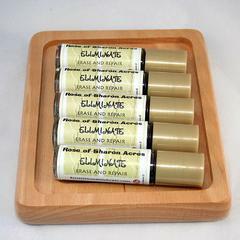 Great for Eczema, Psoriasis or Acne! Dead Sea Mud Soap removes dirt and cleanses your skin, while simultaneously infusing it with minerals essential to keeping your skin hydrated and moisturized. Enriched with century old Dead Sea muc, leaving your skin cleansed and nourished. The mud soap gently cleanses away oil, bacteria and dirt particles, leaving skin purified, detoxified and fully cleansed. Note: This soap has been found effective at relieving acne. Where has this been all of my life?!? This soap is the ABSOLUTE best!! Never have a I tried a soap that makes you feel like you're in a spa and your skin has been really rubbed down in mud from the Dead Sea!! When you step out of the shower you can definitely feel the difference in your skin and feel so relaxed like you've been in the spa! Will be buying more!! I just received this bar of soap yesterday. 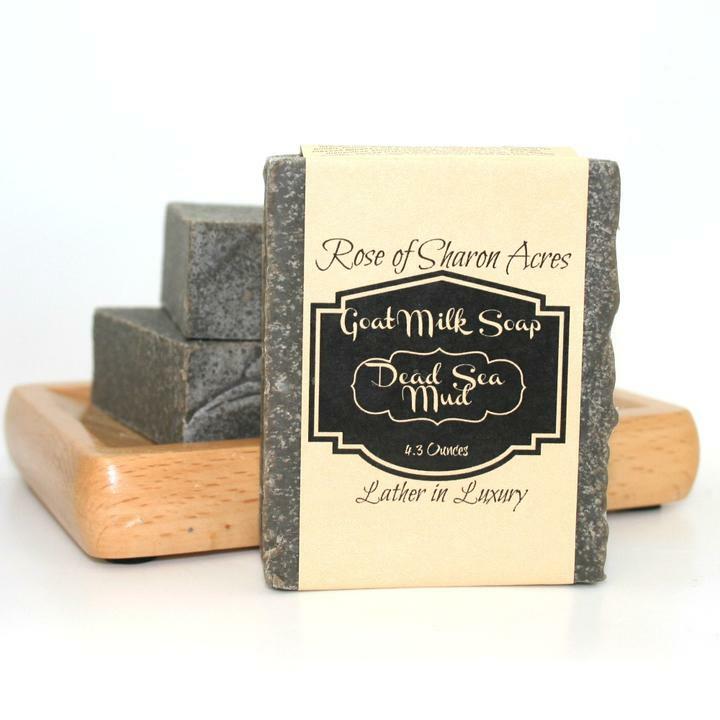 I was using a goat milk soap from another local farm and loved it. Although my skin felt squeaky clean, it felt a tad bit dry afterwards. This bar of soap is ah-mazing! You get a gentle exfoliation plus moisturized skin before applying lotion. I don't even feel the need to apply lotion after my shower, but it just gets extra luxurious with the mango goat milk lotion! I see a loaf of this bar in my near future! Thank you so much for making such and amazing soap! After reading about the moisturizing qualities of your soap I bought a bar to try on my hands. In the past they were dry,scaly cracked and bleeding. No amount of lotion seemed to help very much. My hands are now healed and smooth and the only thing I changed was washing with your soap. Made with Amazing Tamanu Oil! Remarkable topical healing agent, with general skin healing actions, antineuralgic, anti-inflammatory, antimicrobial (fungi, yeast, bacteriae and viruses), antibiotic and antioxidant properties. with Mango Butter and Tamanu Oil!